Officina del Vino in Trani, Italy. Photo by Gloria J. Chang. 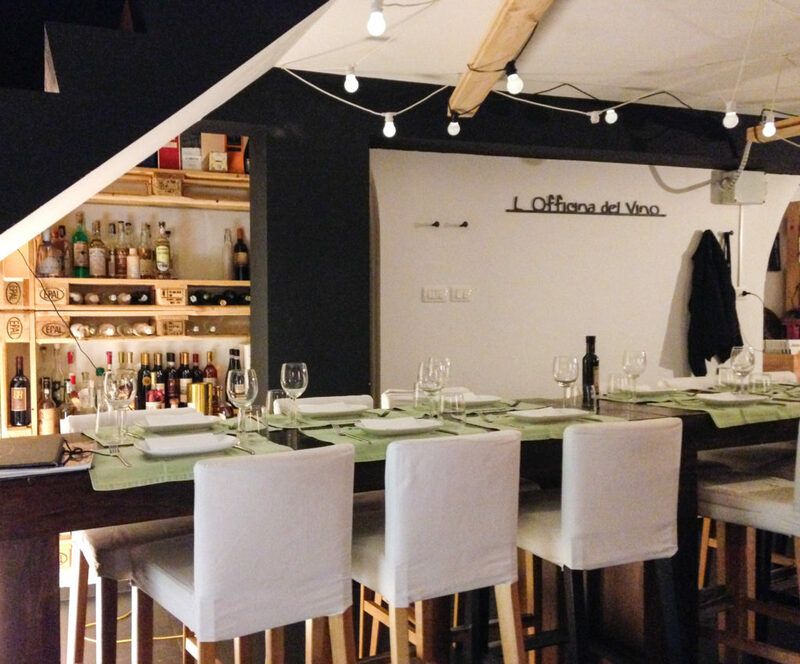 Officina del Vino is a charming wine bar in the seaside city of Trani in southern Italy. With a small selection of small plates and a large list of wines from across Italy, it has a nice variety of bubbly! including ones from France, which makes up the bulk of the smaller, lesser collection of wines from outside Italy. A fun place for Italian wines and a variety of sparkling wine made in a variety of methods.